DesktopOK to the latest version Refresh, update? It is easy to update DesktopOK to the latest version or to perform an update! 1.) ... Automatic update of Desktop-OK from 6.01! 2.) ... Update of desktop ok before version 6! 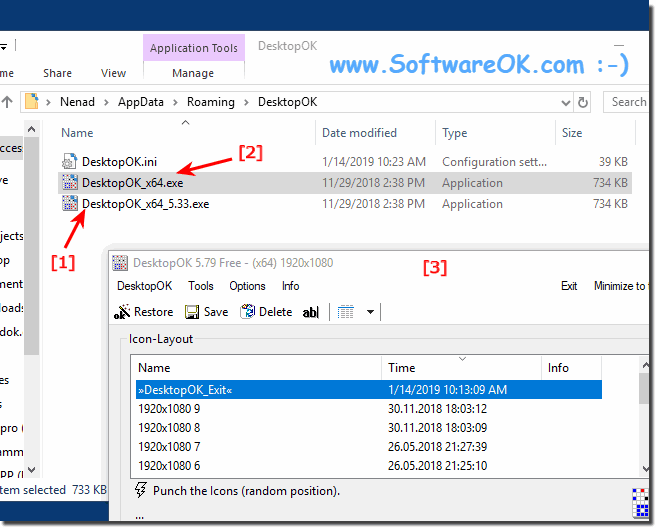 See also: ► Where is the Desktop Icon Layout saved? 1.) Automatic update of Desktop-OK from 6.01! 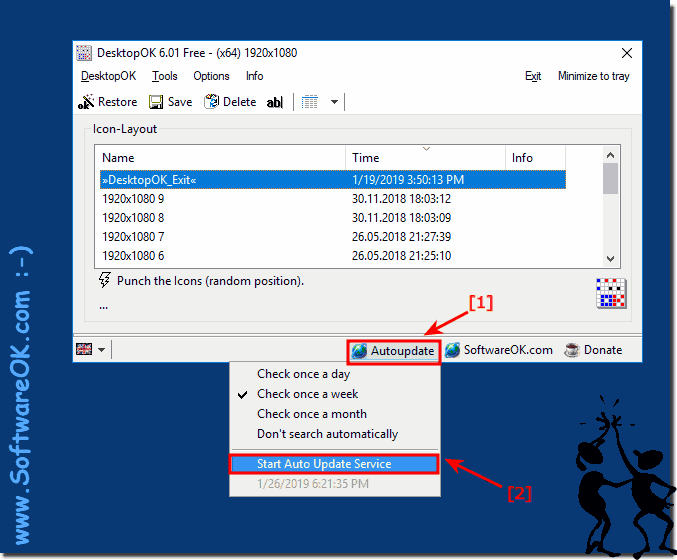 From the DOK version 6.01 you can use the automatic update of DesktopOK which is very handy because at the same time a backup of the old desktop OK version we made so you can change if you do not like, to one of the older versions. (Image-3) the Autoupdate of Desktop-OK! 2.) Update of desktop ok before version 6! 2. 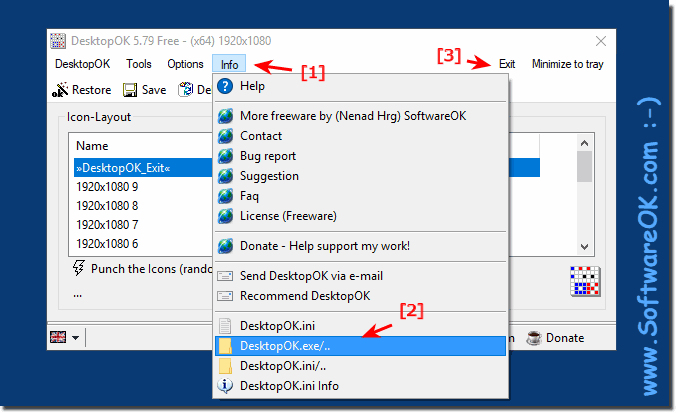 Overwrite the New DesktopOK.exe with the new version or rename the old version and copy the new one in the working directory and start directly the new version. (Image-1) Open DesktopOK working directory and exit! (Image-2) Update DesktopOK to the latest version! As you can see above in Windows 10 shot screenshot, you can update DesktopOK quite fast! You can apply this example as a solution on earlier or older versions of Microsoft's Windows operating systems, whether it's a Windows desktop, tablet, Surface Pro / Go, or even a server operating system. DesktopOK - FAQ-32: DesktopOK to the latest version Refresh, update?